New England Patriots running back James White put together an incredible performance in Super Bowl LI on Sunday. He had 139 yards, scored three touchdowns including the game-winner in overtime and broke the Super Bowl record for individual scoring with 20 points. 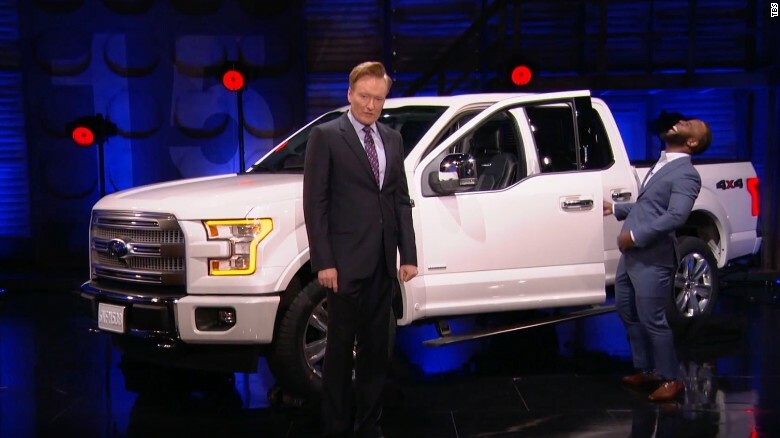 He didn’t win the MVP award, but Patriots fan Conan O’Brien decided to give him an award himself – a new Ford F-150. White joined Conan on Thursday night’s show for some laughs and a brand-new vehicle. Had Tom Brady, who won his fourth Super Bowl MVP this year, received a truck for the award, he said he would have given it to White. But MVPs stopped receiving a new vehicle as part of the prize, last season. Check out the clip below of Conan’s big surprise.